Proudly Serving the Chicagoland Community for Over 40 Years! Maintaining a beautiful Naperville landscape is no easy job, but it can sure be rewarding! To ensure you have a happy, healthy, beautiful lawn, you need to eliminate weeds. The less weeds you have, the better, and ultimately, your goal should be no weeds at all. The following five tips will help you create a weed-free lawn that your neighbors envy. Keep reading to learn more about what you can do to get rid of weeds in your lawn once and for all! 1. Weeds don’t like well fed lawns – If you can manage to have a healthy and thick lawn, it will help crowd out weeds, making it hard for them to grow. Adding nutrients and regular fertilizing helps grass grow and chokes out weeds. 2. Keep your grass tall – Besides having a thick lawn, if you allow it to grow a little more than normal, it will also help to reduce weeds. Taller grass helps to prevent weeds from getting enough sun. Keeping your grass a little longer, can also help to prevent lawn diseases, such as fungus, and can prevent some insects from breeding. 3. Strike early in spring – Naperville landscaping requires early weeding to prevent spreading later on. Early preparation will get you ahead of the curve, before the weeds’ seeds spread. 4. Aerate in the fall – Aerating your lawn (also known as lawn core aeration) go a long way towards improving your soil and lawn. The aeration process creates thousands of small holes in through your grass and into your soil; enabling your grass’ roots to spread and continue growing. We recommended you perform lawn aeration during fall because it enables your lawn to recover before the following spring and summer, looking better than ever before! Every lawn is different. Call in the pros from Schmitt’s Landscape Company for guidance in understanding the specifics of what your lawn needs to be lush and lovely. The above Naperville lawn care maintenance tips are a few simple ways for you to eliminate pesky weeds once and for all! Sure, maintaining your lawn takes a bit of elbow grease, research and patience, but the results are well worth it! So you’re new to landscaping! Maybe you’re a new homeowner, starting to take an interest in landscaping, or you’ve thought about diving in, but are nervous your aspiring green thumb may turn out to be the grim reaper’s sickle! Follow along as we point out some great tips for jumping into updating or expanding your landscape. When planning or expanding, consider what you want and what you need. Whether you want a space for your kids to play or you need regarding for proper water drainage; this is all part of the process. You don’t need a master plan, but be sure to consider trade-offs while moving forward. Educate yourself about what plants will grow best in shady areas of your property and pay attention to how the sun moves through your property. Not only will taking shade into consideration impact your plant choices, but placement is important too. For example, a patio located on the western side of your yard will ensure the afternoon sun provides a relaxing outdoor space in the afternoon and a great place for dinner. Flowerbeds need the same sun considerations. Try one design for a while and see how you feel about it. You can always expand, change and modify your landscaping and lawn in the future. It’s easy to move most plants around and create new landscaping features. Landscaping can be overwhelming if you start really digging deep in education about plants, lawn care, hardscapes and more. We can always help you get started and build out your landscaping over time. Build gravitas for your landscaping and property by creating a focal point. A center of attention that draws people in, such as a dominant tree, hardscape feature, flowerbed, walkway, pergola, driveway or other dominant feature greatly increases the attractiveness of your property. Well, spring is already halfway here! Fertilizing your lawn and plants is important for a great looking yard. The following suggestions will set you on the right path. If you need additional help, please do give us a call and we’d be happy to discuss options that are custom-tailored to your needs. 1. Use your soil as a barometer – If you have problems determining when your lawn needs fertilizing, your soil can tell you. Most organic fertilizers work best with this method because their formulas are designed to feed the soil when it is depleted. A simple soil test performed by us or from your local hardware store/nursery will tell you specifics on what your lawn needs or may be lacking. Then all you need to do is feed it! 2. Why do you want to fertilize – Visualize and think about how you want your grass to look. What results are you shooting for? Determining how lush, how green, and what times of year you want your grass looking its best can help you determine proper fertilizers and how often you need to fertilize. 3. Decide on using organic or traditional fertilizers – The market is pretty crowded with various types of fertilizers, each with their own benefits and negatives to weigh. Your decision on type of fertilizer will need to take into account, efficacy, desired results, and impact on the environment, and your family and pet health. 4. Understand what your grass needs – Just as there are many types of fertilizers available, there are many species of grass. Some fertilizers work better than others in our northern Illinois climate with the type of grass you have. Keep the above in mind before choosing your next bag of fertilizer and you’ll end of with a great looking lawn. After fertilizing, it’s simply a matter of routine watering, mowing and enjoyment! Maintaining a beautiful landscape requires routine work, patience, timing and love. Fertilizing is only one aspect to proper lawn care. Be sure to visit our blog regularly for more helpful tips, advice and strategies for grooming the perfect lawn. We’re always ready to help and we service the greater southwest suburbs of Chicago, chiefly Aurora, North Aurora, Wheaton, Batavia, Glen Ellyn, parts of Naperville and more. Give us a ring! Your grass and lawn is most likely a fairly dominant feature of your landscaping. Most Illinois suburbs further from Chicago have larger home plots that are not surprisingly, mostly grass. In this article, we’ll talk about how to select a decent lawn mower for your needs. We’ll focus on lawn mowers and talk about tractors at a later time. First consider the size of your property, lawn and geography. Powered mowers are great for larger yards. Then consider power sources. Gas and electric lawn mowers are fairly popular. Many gas powered mowers are quite sturdy and will last many, many years of dutiful service. Electrics can also be a great choice if your lawn is a smaller – and they’re a great choice if you are concerned about the environment due to electric mowers not producing carbon emissions. Bother are fairly inexpensive to fuel. What is your budget? You certainly don’t have to get all of the bells and whistles many pricing out a new lawn mower. There are plenty of mowers that are sold at very reasonable prices, are quality-built and won’t bust your budget. Also consider that you don’t have to buy new. What type of lawn mower do you need? There are a myriad of choices, including: cylinder lawn mowers, hover mowers, rotary electric lawn mowers, drum mowers, self-propelled lawn mowers and ride-on mowers. Each type has pros and cons. All will get the job done; it just depends on what is best-suited for your situation. Selecting the right lawn mower will ensure your grass looks great and is a long-term investment. If you need help determining the best lawn mower for your yard, be sure to email us or give us a call. We’re always more than happy to help. This Spring there is a lot of new things to talk about at Schmitt’s Landscape Company! First, we are formally announcing the hire of Brad Taylor. Brad is a registered Landscape Architect. Brad graduated from Utah State in 1981 with a Bachelor’s degree in landscape Architecture and Environmental Planning. He has 32 years of experience in the industry. Brad enjoys collaborating with new clients on a design unique to their environment. His team work philosophy results in an end product that will highlight the property of the client. Brad resides in Wheaton with his wife and two daughters. He enjoys reading, bike riding and family activities. We are grateful and excited to have Brad’s talents available for you the homeowner. Second, we re-modeled our website. I wanted our portfolio section to be front and center and the web pages to have a fresh look. I think you will find the changes helpful and interesting. Leave us a message about your impressions. Third, we are offering a new product for your turf – the name is Holganix. Holganix is an organic bio-nutritional product that makes your soil and grass plant healthier. Holganix enables us to use less fertilizer and weed killer. 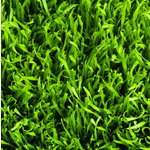 The product is not harmful to kids or pets and the turf will look great and have less insect and disease problems. I am excited about a Green product that will do a great job with the environment, kids, pets and turf. Contact us for more information. Unfortunately for most Chicago area homeowners, few are aware of some of the basic steps you can take to protect your lawn, plants and trees for the long, hard, cold Winter months. Winterizing your lawn and landscaping is key to a healthy, happy landscape that lasts. If you don’t have the time or need more help with preparing for Winter, be sure to call your local Wheaton landscaping firm, such as Schmitt’s Landscaping Company, to do the dirty work for you. Their expert advice and Winterizing can help save you money come Spring time. A great idea to protect grass against the coldest Winter temperatures, ice and snow is to cover it with a bit of mulch or compost material. This could be layers of leaves, manure or even uncollected grass clippings from your last Fall mowing. The more insulation your provide your grass, the warmer that both the grass and soil will be during the Winter. Spreading a thin layer of mulch helps to protect the roots of your grass, which can be negatively affected by the cold temperatures. Colder weather can cause roots to stop taking in water and feeding. For plants growing on walls, trellises or other structures it is a good idea to cover them with a sheet of plastic so that the leaves and stems of the plant can be protected from the cold air. If leaves on plants are affected by the cold, they could stop taking in the sun’s rays and this could also cause the plant to die or change appearance. Plants that are planted in movable pots and containers can easily be protected by moving them indoors and keeping them warm inside. This could be labor intensive if you have many plants in containers, but it will certainly be one of the best ways to protect your plants from the cold. Larger plants that cannot be moved inside like trees or shrubs should be wrapped around the base and at weak points to protect them from snow damage. Glass is also a good way to cover plants and protect them from the cold. A sheet of glass can be placed inclined over a plant and a wall, so that it sort of creates a greenhouse effect. This is rather easy and it also allows the plant to get some light from the sun. The glass covering can be left for many days and your plants can easily survive the entire Winter by being inside a glass structure. Many big-box hardware and gardening stores carry frost-proof plant containers. Frost-proof plant containers are very effective at protecting your plants from the cold. These containers can be costly, but they are certainly worth it. Protecting your beloved plants from the harsh cold temperatures is important, if you want them to look nice and healthy next Spring. Every gardener and homeowner should learn the basics of packing up their lawn and plants for the Winter, or, hire a competent Wheaton landscaper or Wheaton lawn care specialist to help you. Ensuring your Naperville lawn has adequate water drainage is a must for every homeowner. Improper water drainage and poor grading can not only destroy your plants, yard and your neighbors’ properties, but can lead to serious structural problems for your home and hardscapes – such as cracked housing foundations, basement water leaks, and flooded sump pumps. Structural problems and flooding are a nightmare and can be very expensive! So it is vital your landscaping have proper water drainage built in to the design. If you’re noticing water pooling and flooding when it rains, call a Naperville landscaping company, such as Schmitt’s Landscaping Company, before it’s too late! For a quick overview, the water that you use to water your home plants and grass, and the water provided by Mother Nature, needs a place to drain. Besides flooding and potential structural problems to your home, too much water can kill your lawn and plants. If your plants have too much water they can become moldy, attract diseases and eventually die. If your lawn and grass are over-watered, the same mold and disease issues can appear, but too much water will also change the structure of your soil – causing much needed nutrients to disappear. The lost nutrients cause plants to stop growing. That is why it is important you have proper water drainage everywhere. The best water drainage is the installation of underground pipes. Underground pipes will collect water overflow and direct the water to a more suitable place, such as a public storm drain or street. Before underground pipes are installed, your yard or trouble areas are graded to allow rain water to naturally flow away from your home’s foundation. Water overflow can then be directed to pipes, which are hidden under your landscaping and use gravity to redirect the water. In situations where water pools on hardscapes, such as driveways, patios and walkways, water overflow can often be redirected with the help of channels filled in with stone chips. With proper water drainage, your plants and grass will live longer, look better and thank you! Too much water can promote mold growth and diseases. And beyond keeping your landscaping healthy, improper water drainage can cause serious damage to your property, your neighbors’ properties, and your home’s foundation. Property damage is a huge problem and can come at a very heavy price. At the first sign of a leaky basement or flooding, call your local Naperville landscaping company or Naperville lawn care professionals for expert help. There are several types of irrigation methods, each of which serve a purpose and are very efficient in its own way. Some irrigation systems are less expensive than others and some require more technology than others, so be sure to talk with your Aurora landscaping team about which methods and options are best for your yard. Each person should select their irrigation system according to what their plants and soil need, but they should also try to stay within their own personal budgets. One of the simplest, oldest and least expensive irrigation methods is one that has been used in many cultures for hundreds of years. This method involved building small channels in the dirt, so that the water can flow through them and reach the plants that need to be watered. This type of irrigation can be done with a shovel and a couple other materials, but it is labor intensive. More often used to water large areas, for farms and crops, you can use scaled-down channel irrigation to direct water flow to new plants, trees and harder to reach areas of your garden. Another irrigation method, which is more technologically advanced, is the drip irrigation method. More commonly found in drier, desert climates in the United States, drip irrigation is an excellent strategy for watering individual plants, because they will receive the correct amount of water needed, exactly where the water is needed. The drip irrigation method involves lying or burying a set of irrigation hoses amongst your plants. Each hose contains tiny holes to deliver water to individual plants. At specified intervals for your watering schedule, water continuously drips from the holes to feed each plant — thereby keeping the soil directly surrounding each plant moist at all times. The drip irrigation method ensures water is perfectly distributed throughout your landscape and is perfect for watering vegetables, trees, fruit trees, flowers, shrubs and herbs. Drip irrigation requires planning and construction, so you may want to consult with your Aurora, IL landscaping team, such as Schmitt’s Landscaping Company, for expert help and guidance. Sprinkler systems are another easy, popular irrigation method used by families throughout the Chicago suburbs. Sprinklers are an excellent choice for watering lawns and large planted areas. Sprinklers were designed to simulate rain and are very beneficial for both the soil and plant root systems. A downside to irrigation using generic sprinklers is that water often falls and pools in places where water isn’t needed, such as walkways and patios. Over-saturation can also be a common problem if you don’t have the time to monitor your plants while watering them. For custom landscapes and to get the most out of irrigating your landscaping, talk to your Aurora landscaping company about installing an irrigation system for you. Using a mix of sprinklers and/or drip irrigation and underground hoses, you can get the best of everything: water where it is needed, in the right amount, without unsightly hoses, and from an automated system that lets you enjoy your yard instead of working on it. A custom irrigation system is efficient, saves money, is better for your plants and proper water drainage, and improves the value of your home. Whether you are looking to water a small victory garden, your lawn, or multiple planting beds, use a mix of the above irrigation methods to ensure your plants and landscaping are happy and healthy! Naperville Landscaping: What Is A Hardscape? Everyone loves a beautiful landscape, but not everyone is familiar with the term “hardscape.” Hardscapes are physical structures of your Naperville landscaping that help improve your yard’s beauty, outdoor living space, and functionality – such as retaining walls made paving stones, pergolas, flagstaff stone walkways, brick driveways, pergolas, patios and more. Just about everyone’s home has some form of hardscape, greatly improving the look and value of your home. Simply adding a stone walkway to your home’s backyard or garden can do wonders to the look and feel of your overall landscaping. Talk with your hardscape design team, such as Schmitt’s Landscaping in Wheaton, Illinois, to discuss options, patterns, styles and designs to enhance your home’s front and back yards. In some instances, adding a hardscape can reduce the maintenance aspects of your yard, while adding attractive outdoor living space. For example, by adding a paving stone patio or porch, you can cut the time spent on Naperville lawn care, such as mowing the lawn, fertilizing and weeding. Expertly designed and constructed hardscapes can greatly improve the overall curb appeal of your home and add a modern, classy look. But hardscapes can also be functional too! 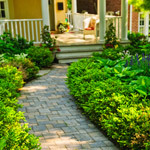 For some homes with improper grading and water drainage problems, the addition of a patio, walkway or patio using permeable paving stones and built-in artificial drainage methods can help drain water away from your home and foundation, helping to eliminate costly water damage to your home and your neighbor’s property. Be sure to talk with your Naperville landscapers and hardscape designers to identify the areas of your yard that pool with water when raining and ask about solutions. Beyond correcting water drainage issues, hardscapes can be used to create architectural support for the layout and design of your outdoor living space. Retaining walls built using tumbled paving stones can add visual depth to your property and physically support tiered flower beds, patios and planting beds. Hardscape retaining walls help define your yard and add uniqueness to your home. When you’re ready to step up and take your landscaping to the next level, consider how adding a hardscape structure will add beauty, value and functionality to your outdoor living space. Take some time to look through magazines and walk your neighborhood to see what types of designs and structures you like. Then talk with your Naperville landscaping company. They’ll help you plan, design and build a hardscape that achieves the look you desire, while providing expert recommendations on products to use and best practices for proper water drainage. Just remember that not all Naperville landscaping and hardscape design firms are the same. It’s important you review their experience and portfolio of work in order to hire a team that will not only get the job done right, on time, and on budget, but also provide expert guidance and after construction support. Working with true professionals, will almost always guarantee that you will get a job well done and that your hardscape will look beautiful, add value and enhance your outdoor living space. Best wishes with your new patio, pergola, retaining wall or paving stone pathway! Naturally the design process with your Naperville landscaping company starts with an initial consultation. The consultation is one of the most important aspects to any successful design because this is where you will convey your ideals, needs and desires. It’s also the foundation for establishing an open and honest relationship. Depending on factors such as job size, budgeting, etc., this can happen in an office setting or on site at your home. Work with your landscaper to help them understand your visions, expectations, budget, likes and dislikes and use. This will help your Naperville landscaper to walk away with a clear picture on what you want, expect and overall scope of your project. During or after the consultation, your landscaper will scope out the area. Soils, irrigation and natural lighting will be reviewed, existing architecture measured, topography examined, and other supporting information gathered. Your landscaper will also consider the existing fauna and flora all the while determining other adaptable foliage that will be suitable and desirable to your goals. All of this will be transmitted to the client in the form of a proposal or recommendations and solutions. This will serve as the starting block for executing your vision. Once the area has been carefully investigated, the landscaping design will start to come into play. The landscape designer will map out a plan on paper. This will include patterns, architecture, compatible plants, and other design elements. It would not be unusual for the landscaper to have a few different plans or variations. At this stage it is crucial for you and your landscaping designer to map out what parts of the plan are going to be incorporated, thrown out, or added in at a later stage. Budget will likely be discussed as well. Be sure to provide specific feedback to help your landscaper finalize the design concept. The final planning stages will include charts, maps, and botanical drafts. There may be material lists, maintenance commentary, architectural illustrations, and detailed information on the design stages. At this stage it is likely that a final bid is negotiated and agreed upon as well. Proposals for each design phase will be determined, materials will be specifically priced, and more lines will be drawn. Project completion is affirmed and all costs are justified. Typically this is where a contract is signed and a deposit is placed. Once done, the planning process turns into action with results. The final stage is landscape construction and project management. A lot of times the client can make some minor adjustments such as tile colors, pottery, wood stains, and other design aspects. Your involvement at this stage may or may not be necessary — so take the lead of your Naperville landscaping company on whether or not they need your input. Happy Halloween from Schmitt’s Landscape Company! Wild Violets: A Harbinger of Death for your Wheaton Lawn? Getting Rid of Grass Clumps! Should You Hire a Lawn Care Service Provider? For immediate help, give us a call at (630) 469-0607. Otherwise feel free to click the button on the right, fill out our form, and we’ll get right back to you! Over the past thirty-years, Schmitt’s Landscape Company has grown to meet the needs of homeowners by segmenting our broad services into five specialized fields: Landscape Design, Hardscape Design, Drainage and Repair, Outdoor Lighting, and Maintenance. Schmitt’s Landscape Company is committed to providing the very best landscaping in: Batavia, Glen Ellyn, North Aurora, Northern Aurora, Northern Naperville, Warenville, West Chicago, Wheaton, Winfield and St. Charles.